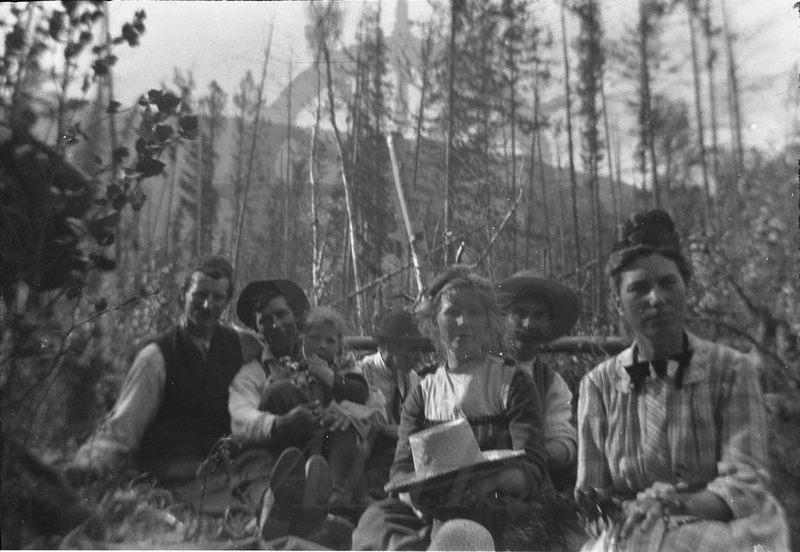 Group portrait in forest, possibly during clearing of farmland at West Demars, ca. 1910s. Charlie Slade and father Jack Slade wearing hats at back centre. 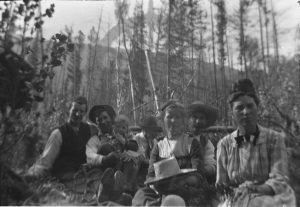 The Slades were the longest tenured family at West Demars (1910-1930).